What is the Horseshoe Bend Water Treatment Plant? The Horseshoe Bend Water Treatment Plant can be seen on the northeast edge of the Pit. 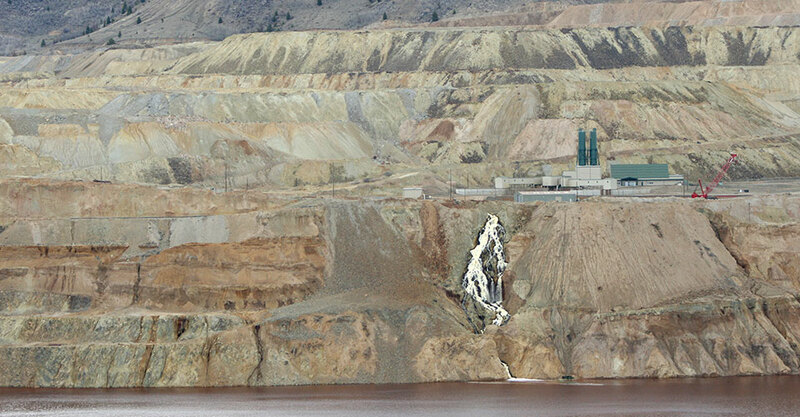 The plant was constructed in 2002-2003 to fulfill the EPA Record of Decision, which requires that surface water flowing into the Berkeley Pit be captured and either used in the mining process or treated. The Horseshoe Bend Water Treatment Plant, completed in 2003, captures surface water to slow the rate of fill of the Berkeley Pit lake. In the future, the plant will capture and treat water to prevent Pit water from rising further. In 2012 the plant treated about 5 million gallons of water per day. This water comes from the Horseshoe Bend drainage north of the Pit. The plant has been working continuously since it came online in November 2003. No water or waste leaves the Pit or mine site. 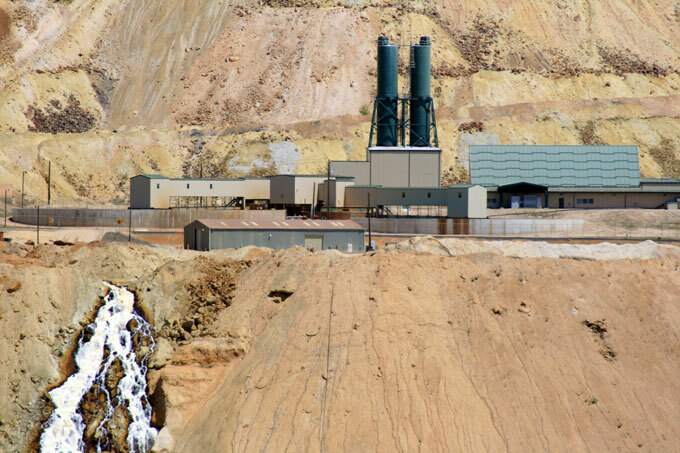 The Horeseshoe Bend Water Treatment Plant, seen here in 2009, was constructed in 2002-2003 to fulfill the EPA Record of Decision, which requires that surface water flowing into the Berkeley Pit be captured and either used in the mining process or treated. Currently the plant is used to capture and treat surface water that would otherwise flow into the Pit. 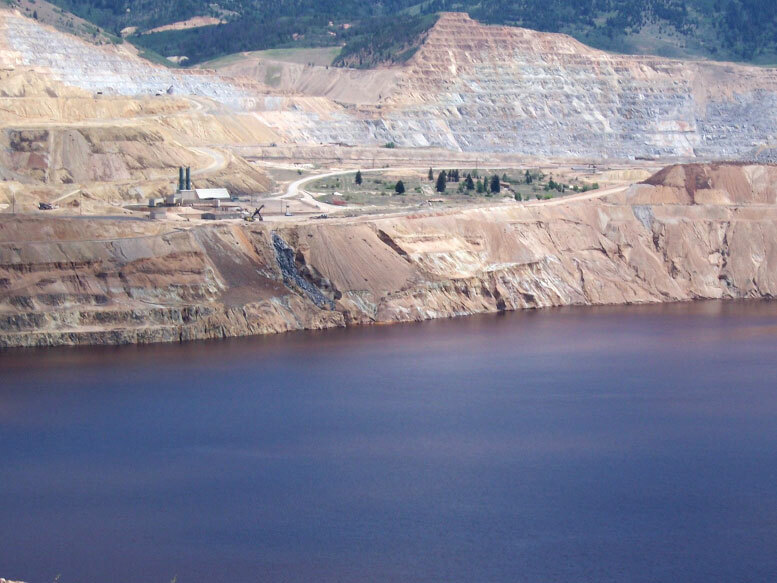 Treated water is then used in Montana Resources mining operations.